Wellington Welding Supplies has been established in Poole since 1964. We have an experienced team of sales and service engineers who can advise you on any welding related problem. Wellington Welding service and repair virtually all the major brands of welding equipment. Uniquely to Poole, we have our own Swift Cut 44 Plasma Cutting Table available for in-house demonstrations. Dorset and Wiltshire, Hampshire and Lymington. Richard Etches joined WWS in March 1985 and is Branch Manager at the Poole depot. He is acknowledged as having the tidiest and best kept stores in the company and is regularly complemented by customer and suppliers alike. He is professional and dedicated and inspires the trust and confidence of many long standing customers. He has a superb in-depth knowledge of all welding products and processes including the many varied abrasive applications within metal grinding and polishing. Away from work Richard spends as much time as possible with his two daughters Lauren and Ellie. Craig Peterson was appointed as the Poole Sales Engineer in September 2013 having joined Wellington Welding Supplies in April 2012 working in the Poole depot where his duties include looking after the Trade Counter and BOC Gas Customers as well as dealing with normal warehouse duties. During his time with Craig has demonstrated an ability to learn fast and has been nominated as our "expert" on SwiftCut CNC Cutting Tables where he demonstrates great proficiency but delivered in an easy going relaxed manor. Prior to joining us Craig was a Senior Lab/Site Technician involved in surface testing. Away from work Craig plays rugby for Poole Town and likes tinkering with old cars. John Herbert joined WWS in August 1989 having worked at Hamworthy Engineering for a number of years where he served his apprenticeship. 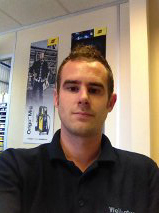 John is our service engineer at Poole and is extremely well qualified and competent in his work. Predominantly at Poole, he works on most of the main brands of equipment including a majority of Miller equipment. John was promoted to Service Manager in October 2014. Outside of work John assists on the technical side for a local amateur dramatics company and is another computer buff with shortly his own web-site. 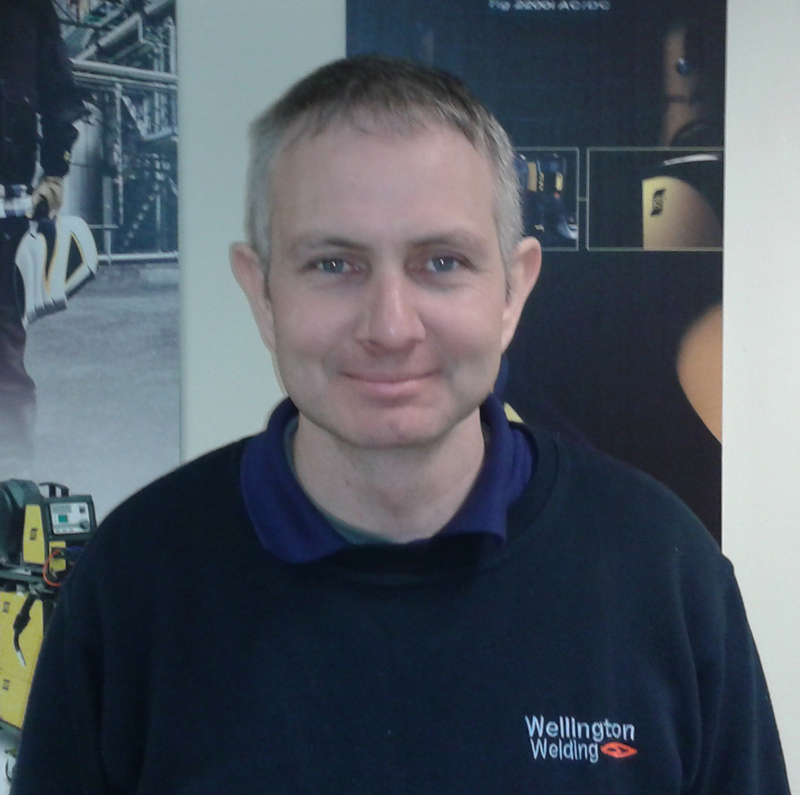 Jonathon Melvin joined the Poole branch of Wellington Welding Supplies in March 2013 as a Service Engineer. Learning his trade in ;The Corps of Royal Electrical & Mechanical Engineers, Jonathan served for over 16 years before his Army career was cut short due to redundancy. Having grown up in Poole, he has now decided to settle in Branksome with his wife Carolyn and twin girls Amber and Charlotte. His spare time is taken up entertaining his children, but he also enjoys video gaming and drinking, as well as touring on his motorcycle and skiing. Sam Keen is the latest recruit to our Poole branch joining on the 1st of September 2013. Unusually for the welding industry Sam arrives with previous knowledge and experience of rods, wires, fluxes and the 101 things which make up our daily lives. This previous experience was gained in Sussex from where he has moved to be closer to his girlfriend. Sam confesses to being a massive Tottenham Hotspur fan and more recently Bournemouth, not much difference there. Sam balances this obsession with other interests including music both playing guitar and seeing live bands, films and spending time with his girlfriend. He also enjoys travelling and has recently visited Sweden and France and hopes to make it to New York in 2014 to visit his brother.